Hivos > Opinions > Energy Access Outlook 2017: too rosy an outlook? “Universal energy access by 2030 is now within reach”. The title of the International Energy Agency (IEA) press release announcing the Energy Access Outlook 2017 report, released on 19 October, sounds promising. The IEA’s detailed analysis of the status of energy access in the world attributes its optimism to growing political will and declining costs of energy technologies. This promising future can, however, only come true if investments in the energy sector double and we focus on decentralised solutions as key to reach all people. The report shows a progress in electricity access, with now under 1.1 billion people without access to energy. However, it also recognises that progress is uneven: clean cooking is strongly lagging behind and Sub-Saharan Africa remains the big gap in energy access. Besides, finances remain a main barrier for scale: investments would require more than twice the level mobilised under current and planned policies. This is despite the fact that finance needed for universal access is even less than 2% of the total yearly energy investments. As the report rightly states, decentralised renewable energy solutions are the cheapest and fastest way to achieve energy access, especially in remote areas. It will provide the means for almost half of new access (IEA, 2017). It requires, however, dedicated public support in policy and finance to complement private sector investment and support investments also in areas with little direct return of investments to reach the poor. Another point of attention is the slow pace of progress in clean cooking access. If we continue as we are, 60% of rural populations in developing countries will still rely on biomass as their main cooking fuel in 2030. This will continue to negatively impact health, especially of women and children, causing millions of premature deaths and seriously worsening climate change impacts because of deforestation and emissions. Stronger policy efforts to promote modern fuels and improved cookstoves are needed, with a focus not only on intermediate solutions like LPG and natural gas, but also defining long term solutions for cooking on electricity. 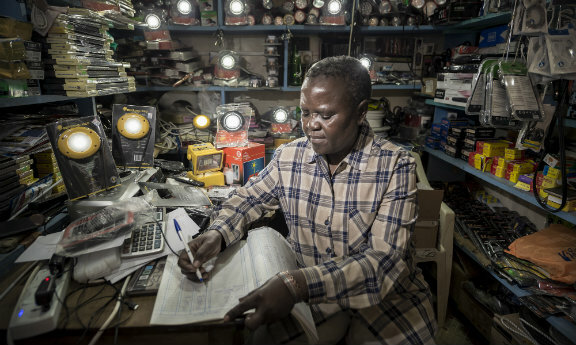 Overall, public investments and frameworks need to favour decentralised solutions if we really want to reach the goal of universal energy access by 2030. This means governments of both developing and developed countries should prioritise it in their policies. When zooming into the Netherlands, we see new opportunities arising with the formation of a new government that prioritises investing in climate and development, concretely with its proposed new national climate fund within the department of development aid. This fund is an excellent opportunity to prioritise investments in access to decentralised access to energy as a way to address both poverty and climate change. The Netherlands has a strong track record in supporting developing countries in providing access to energy to the poor in remote areas through decentralised solutions, as it is a key enabler for social and economic development while combating climate change and leapfrogging fossil fuels. Access to energy is a prerequisite focus point of Dutch priorities for development cooperation, as are water, management, agriculture, sexual reproductive health and rights (SRHR) and gender. And last but not least: investing in access to energy will show the much-needed impact and added value, especially for women and children, as stated in the new government’s Coalition Agreement. Seeing the need to invest in energy access and the opportunities it will bring, the Netherlands should intensify its policy and finance for decentralised energy access, as also recently put forward by PBL Netherlands Environment Assessment Agency in their research on what is needed for energy access in Africa. Armed with these policies, the Netherlands can take the lead in moving from poverty to prosperity with the new government’s proposed Climate Fund as the new Dutch climate fund for prosperity in Africa!